This study is especially important because it shows even casual, recreational users are not immune from developing brain abnormalities. Jodi M. Gilman, John K. Kuster, Sang Lee, Myung Joo Lee, Byoung Woo Kim, Nikos Makris, Andre Van Der Kouwe, Anne J. Blood and Hans C. Breiter. Cannabis Use is Quantitatively Associated with Nucleus Accumbens and Amygdala Abnormalities in Young Adult Recreational Users. Journal of Neuroscience, April 16, 2014 These researchers are based at Massachusetts General Center for Addiction Medicine, Northwestern University and Harvard University. The National Institutes of Health, the White House Office of National Drug Control Policy and Northwestern’s Warren Wright Adolescent Center paid for the study. “’Anytime you find there’s a relationship to the amount of marijuana consumed, and you see differences of core brain regions involved in processing of rewards, the making of decisions, the ability to assess emotions, that is a serious issue,’ said Dr. Hans Breiter, professor of psychiatry and behavioral sciences at Northwestern University Feinberg School of Medicine and a study co-author. USA Today: The study found volume, shape and density changes in two crucial brain areas — the nucleus accumbens and the amygdala — involved with emotion and motivation and some types of mental illness. ‘This is a part of the brain you do not want to mess around with,’ Breiter said. 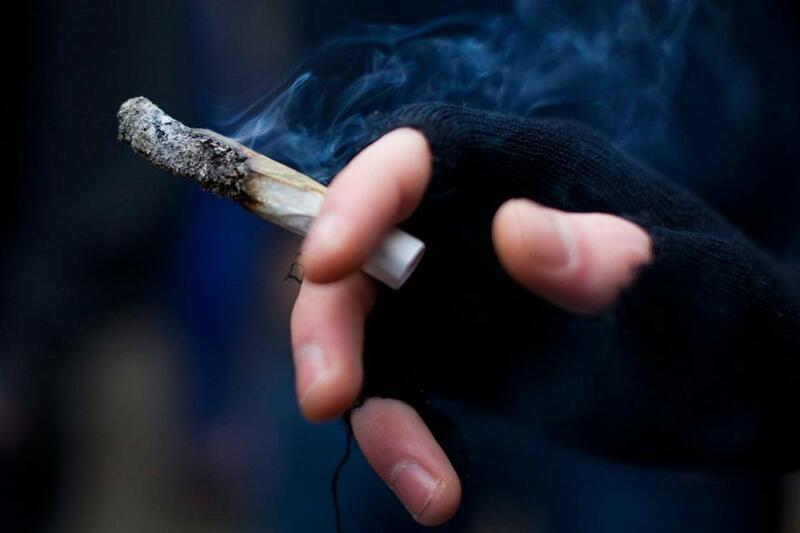 Science Daily via Northwestern University: “Of particular note, the nucleus acccumbens was abnormally large, and its alteration in size, shape and density was directly related to how many joints an individual smoked. “The study results fit with animal studies that show when rats are given tetrahydrocannabinol (THC), their brains rewire and form many new connections. THC is the mind-altering ingredient found in marijuana. The Economist: Earlier studies have focused only on (how) tetrahydrocannabinol (THC, the main psychoactive component of pot) affects the brains of animals or intensive, dependent human users —- and found evidence of impaired learning, memory, attention and decision-making. But those studies did not consider the effects of casual use. Washington Post: “In the brains of marijuana users, natural rewards are less satisfying. Science Daily via Northwestern University: “‘This study raises a strong challenge to the idea that casual marijuana use isn’t associated with bad consequences,’ said Breiter, a physician and professor of psychiatry and behavioral sciences at Northwestern University Feinberg School of Medicine and a psychiatrist at Northwestern Memorial Hospital. The Economist: “All this matters because both scientists and policymakers continue to distinguish between ‘heavy, addictive use’ and ‘recreational use’ among the 19 million Americans who, according to the National Survey on Drug Use and Mental Health, report recent marijuana consumption. A similar distinction is made by other countries, too. The new research suggests that this is at least a shaky line to draw, as even modest recreational pot-smoking seems to set the brain on a path to addiction—and perhaps to other types of cognitive impairment found in earlier studies. The same, of course, goes for alcohol and tobacco, but the risks there are widely advertised. Indeed, when responding to USA Today about another study that found a decline in IQ points among people who used marijuana regularly, Francis Collins, the director of the National Institutes of Health, said recently people should be more aware of these potential brain impacts. “Perhaps it would be better if … there was a little bit more recognition of that particular consequence,” he told the news organization.